VOA Special English - WORDS AND THEIR STORIES - Rats! WORDS AND THEIR STORIES - Rats! 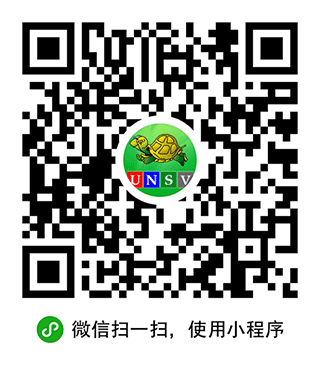 Now, Words and Their Stories, a weekly program from VOA Learning English. Today we will be talking about a hated but misunderstood animal – the rat. The sight of a rat might frighten you. Or it might make you sick to your stomach. In some countries, dishes made with rat meat can be rare and sometimes pricey -- what we call a delicacy. Plus, rats are useful. 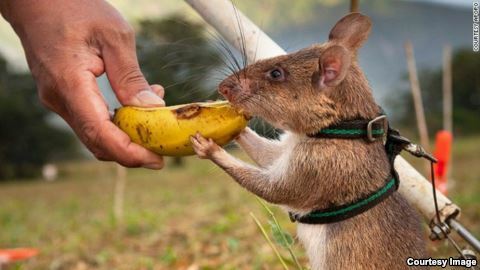 With their extreme sense of smell, people can train giant rats to find land mines and even tuberculosis. 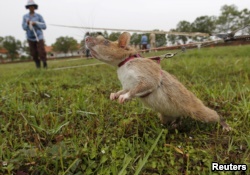 A rat being trained by the Cambodian Mine Action Centre (CMAC) is pictured on an inactive landmine field in Siem Reap province July 9, 2015. 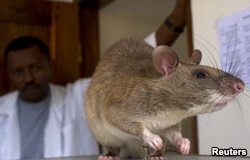 An African Giant Pouch rat is seen before a training session where the rats will learn to detect tuberculosis (TB) at a university laboratory in Tanzania, 2006. But do these things make people love rats? No. For the most part, rats are not beloved animals. For starters, they're not cute. They have pointed noses and long, thin tails. They can eat and damage crops. And the world has long blamed rats for spreading diseases, like the Bubonic plague in Europe during the 14th century. It does not help your reputation when you are accused of killing at least one-third of the population of an entire continent. But, perhaps we shouldn’t be so quick to judge. Scientists now think that it was most likely not rats, but another rodent, the gerbil, that caused the Bubonic plague. They suspect that gerbils traveled to Europe from Asia, some along the Silk Road that traders used. But these animals were not carrying spices and silk, but rather disease. Today, however, gerbils are pets in many American homes. Teachers sometimes keep them in classrooms for students to care for. Rats, not so much. Such is the difficult life of an unwanted, misunderstood animal. So, scientists can debate the role of rats in spreading disease. But the fact that rats have a really bad reputation in American English is not debatable. It’s the truth. None of our rat expressions means anything good. The simplest way we use this word is to simply say, “Rats!” Americans often use this expression when something goes wrong. The term is common and polite -- unlike some of our other expressions we might use when we are angry. As we said earlier, rats may have a good sense of smell. But smelling a rat isn’t good. When we say, “I smell a rat!” we suspect that something is wrong. If you feel that someone has betrayed you, you can say that you smell a rat. A pack rat is not good, either. This is a person who keeps useless things. And worse, they live with all the stuff they have collected. 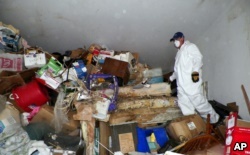 This is the home of pack rat, also known as a hoarder. So, calling someone a 'rat' is never an expression of respect or affection. When describing people, a “rat” is someone who is not loyal or cannot be trusted. A rat snitches on someone to an authority figure – a parent, a teacher, a police officer. As a verb, the word 'rat' isn't good either. To rat on someone means to betray a loved one, friend or someone else you know. When you rat on someone, you tell on them. Let's say you know that your brother ate the last piece of cake when he wasn't supposed to. You rat on him to your parents. Or maybe you rat on a colleague at work. Ratting on people, or tattling on them, will not win you friends. It just makes you a rat. Or worse -- a rat fink. The words tattling and tattletales are often used for children. But ratting someone out or snitching on them can be for any age. No matter what your age, nobody likes to be called a rat, a snitch or a tattletale. However, it is a little different when the police are involved. Let's say you have information about a crime. When the police begin asking questions, you decide to keep that information to yourself. You may feel you don't want to rat on someone else. However, nobody would blame you for sharing information with the police if it helps them catch a criminal. Well, another criminal might not approve. Most criminals have a different code of conduct among themselves: You don't rat on fellow criminals to the police. You would not say that a hardened, possibly violent criminal tattled on another ... unless you were trying to be funny. So, when using the word “rat” in English know that the meaning is never a good one. But in life, maybe we should take another look at rats and give them a chance. Do rats have a good reputation in your country? Please tell us! It would be nice to know there is a place on this planet where saying 'Rats!' is a good thing.